Modern athletes are supposed to be the best of the best, and have the records to show for it. But how genuine are some of these records? The modern sporting era is red-eyed, veiny, and sick with doping scandals, meaning some of the most jaw-dropping sports records would not have been possible without drugs. In the late '80s, no single Olympic runner turned more heads than Ben Johnson. He was that era's Usain Bolt, a Jamaican-born lightning streak who ran for Canada in the 1988 Summer Olympics. The 100-meter final that year was supposed to be one of the most epic races the world had ever seen, especially with Johnson fresh off setting a new 100-meter world record at the 1987 World Championships in Rome. The papers were calling Johnson the fastest man in the world, and the Olympics results seemingly proved it, with the man not only winning, but beating his own world record with a time of 9.79 seconds. Less than a day later, however, Ben Johnson failed an Olympic drug tests with spectacular results. His urine was positively swimming with an anabolic steroid known as Stanozolol. Johnson's medal was taken back, and his world record rescinded. Later, Johnson admitted to using steroids for his 1987 world record, making him possibly the only person in history to be stripped of two consecutive world records in the same event. To be fair, he wasn't the only doper on the track — of the race's eight finalists that day, six tested positive for drugs, making that year's 100-meter event the, as coined by Johnson himself, "dirtiest race in history." Days after Johnson set his world record and then lost it, 24-year-old Ludmila Narozhilenko stepped up to the blocks for the women's 100-meter hurdles. Ludmila didn't blow anybody away with her first Olympic race. In fact, she didn't even finish, tripping over the final hurdle in the semi-finals and coming in dead last. It was a serious blow, but the following February, she stormed across the finish line at the Soviet Championships, with a new world record for the 60-meter hurdles. She almost certainly had help. After the 1992 Barcelona Olympics, Ludmila first tested positive for performance-enhancing drugs. In court, she testified that her Russian husband had been slipping drugs into her vitamins for years. Nevertheless, she was given a four-year ban, during which she divorced her husband, married her manager, and moved to Sweden. Now running for that country, Ludmila returned to the tracks at the 1996 Olympics in Atlanta, taking gold in the women's 100-meter hurdles (shown above). Ludmila Engquist retired from the hurdles in the late '90s, and set her sights on a new goal: bobsleds. She wanted to become the first woman in history to grab the gold in both the Summer and Winter Olympics. Before she got the chance, however, she was busted in 2001 for yet more doping. Since it was her second offense (and she had a new husband by now, so there goes that excuse), she was banned from the 2002 Winter Games, and her dream died with it. 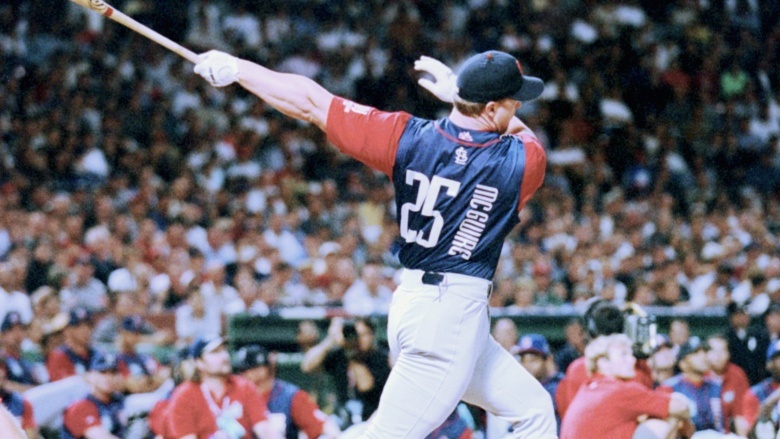 Even though he retired in 2001, Mark McGwire is still a household name among baseball fans. The 1998 season cemented his status as a baseball great, when he went head-to-head with Sammy Sosa in a race to set a new mark for home runs in a single season. McGwire won, with 70 home runs for the season — a record at the time. That same year, however, Mark McGwire first admitted to taking steroids. His drug of choice was androstenedione, a testosterone precursor that, in 1998, was banned in the NFL and the Olympics, but not in baseball. That alone would be shady, but legal. In 2010, however, McGwire went public about his steroid use again, confessing that he took a veritable cocktail of very-illegal steroids on and off over the years, including during the 1998 season. Through it all, though, he still says that the steroids didn't give him the edge he needed to break the home run record, because of course he would say that. Russian distance runner Liliya Shobukhova was once considered the second-fastest woman in running history. Shobukhoba started competing professionally in 2001 at the age of 24 and quickly made a name for herself all across Europe. By 2005, she was a star, winning the 5K event of the European cup, and later that year winning the European Cross Country Championships in the Netherlands. The following year, on a cold February morning in Moscow, Shobukhoba smashed the European record in the 3K event, with a blistering time of 8:27.36. That sports record still stands, but it turned out that Shobukhova's meteoric rise to fame may have been propelled by something more than training and skill. Something like drugs. Lots and lots of drugs. 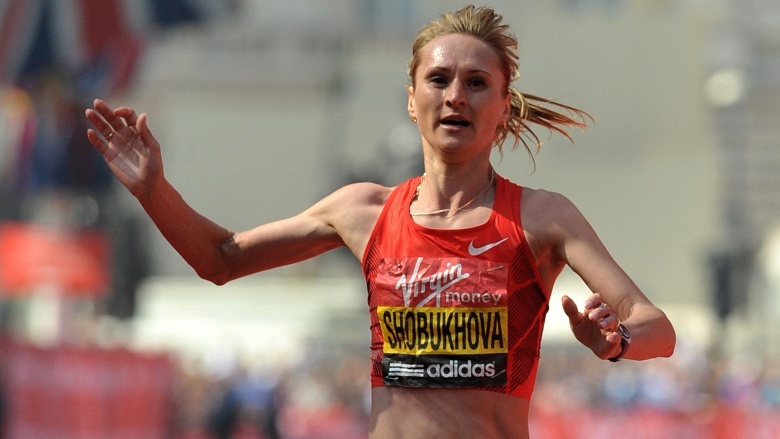 After racing into history as the winner of the Chicago Marathon three straight years in a row — with another win at the 2010 London Marathon to boot — all the hype surrounding Shobukhova came crashing down. The Russian Athletics Foundation found performance-enhancing drugs in the runner's biological passport, and she was subsequently banned for two years and stripped of all titles and wins from 2009 onward. On top of the ban, Liliya Shobukhova was ordered to pay back all her winnings and appearance fees, including more than $1 million for winning World Marathon Majors from 2009 to 2011, plus a half-million from her wins in the London and Chicago marathons. When you think of cycling, you think of seven-time consecutive Tour de France winner, and figurehead for the entire sport, Lance Armstrong. When you think of testicular cancer, you think of Lance Armstrong (and hopefully not Tom Green). And when you think of sports doping, you also think of Lance Armstrong. In 2005, Lance Armstrong became the only person to ever pull off seven consecutive wins in the Tour de France. He retired at the top of the mountain, then came back in 2009 to place third in the event. In 2012, he decided to try the triathlon, and in his first year, he placed first in both the Hawaii and Florida Ironman events, two grueling races in the blistering tropical heat. But if he thought those races were hot, he had no idea what was about to come. In June 2012, Lance Armstrong was formally charged with doping. 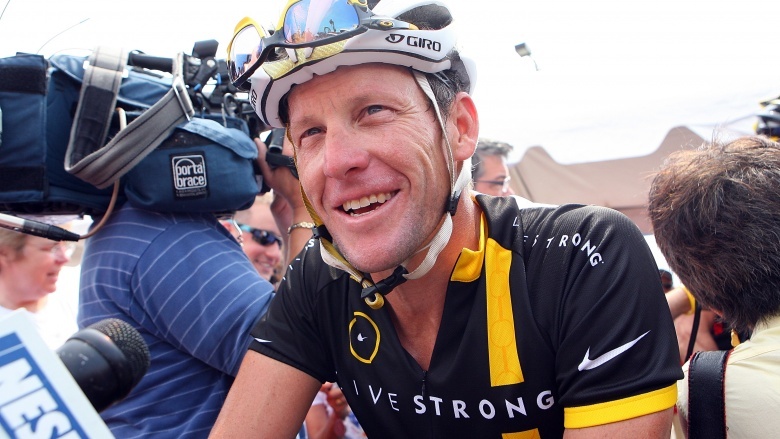 Armstrong denied the charges for a year, and then, in 2013, he admitted to using drugs as far back as 1993. To make matters worse, Armstrong allegedly forced the rest of his Tour de France team to dope along with him. Regardless, all of his titles were stripped, he was banned from cycling for life, and the world will forever remember this one-time hero as "that one-balled druggie biker." 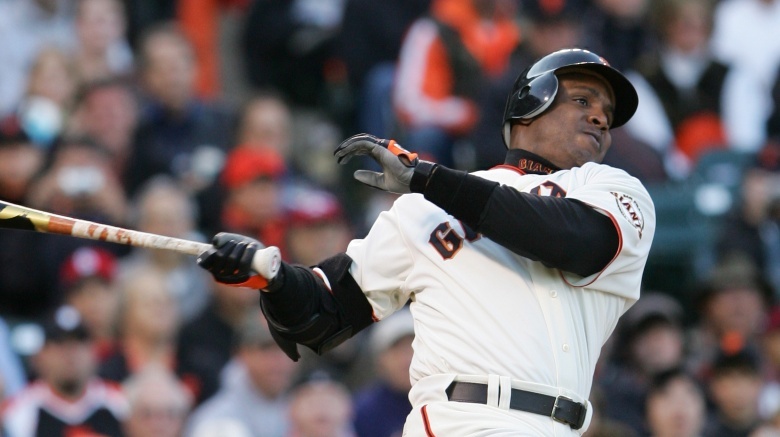 On August 7, 2007, baseball fans all over the country awaited Barry Bonds stepping up to the plate. The beefy lefty had 755 home runs in the bag, tying the lifetime record set by Hank Aaron 33 years earlier. He was facing off against Nationals pitcher Mike Bacsik )who is, coincidentally, the son of the same man who'd held off Hank Aaron's 756th home run.) The pitch came in, Bonds swung, and the stadium erupted. The ball soared into the stands, and Barry Bond cruised the diamond, the new record holder for most career home runs. He squeezed in a few more homers after that, nudging the record up to 762 before the hammer hit. And when the hammer hit, it hit hard. 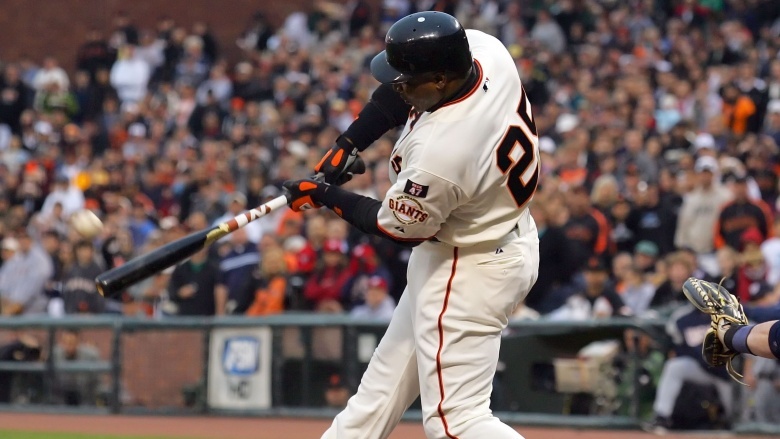 In November 2007, Barry Bonds was indicted for perjury, stemming from a steroid investigation that had been ongoing since 2003. The investigation alleged that Bonds' manager, Greg Anderson had been supplying Barry Bonds with steroids for years. He supposedly gave Bonds (and other baseball players) two forms, dubbed "the cream" and "the clear." The clear is a steroid called tetrahydrogestrinone, which had been developed solely for the purpose of beating sports anti-doping tests. The cream is an ointment designed to mess with testosterone levels, and hide any traces of steroids. In 2011, Bonds was sentenced to house arrest and community service. While his record was never expunged from the books, it now comes with a gigantic asterisk next to it in the minds of everybody, save for Barry Bonds himself. In 2000, Marion Jones became the first woman in history to win five Olympic medals in one year. By that point she was an accomplished runner, having won the 100-meter sprint in Athens at the 1997 World Championships, but nobody expected the high-octane performance she gave in Sydney. She came away with three gold medals, two bronze medals, and a reputation as the greatest female athlete on the planet. In 2004, however, America's fastest sweetheart made headlines in the worst way, as she was drawn into the same BALCO investigation that had trapped Barry Bonds. She was reported to have started taking the "clear" steroid in 1999, with use continuing well past the Sydney Olympics. Jones denied the charges for years, then finally caved in 2007, admitting that she'd taken banned drugs and then lied about it. Jones later became the first athlete convicted of doping during the BALCO investigation, and she later gave back her record-setting Olympic medals. 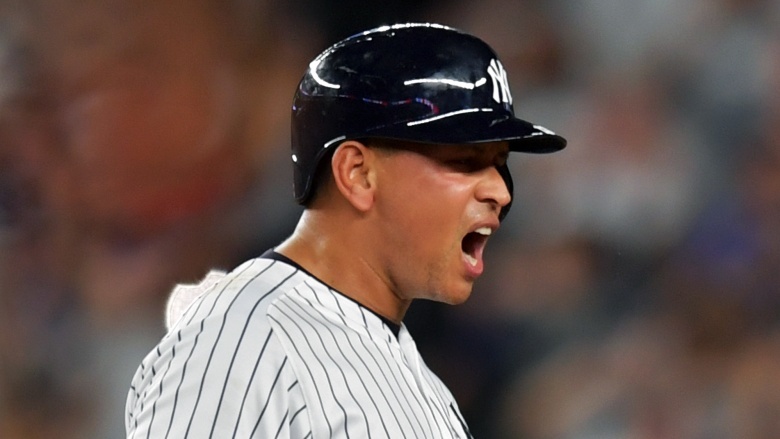 First a shortstop, then a third baseman, and always one of the hardest hitters in the sport, Alex Rodriguez was one of the most famous names in baseball, for more than one reason, and not all of them good. In 2015, A-Rod cleared his 25th career grand slam, securing the all-time world record. That's good. But In 2009, Rodriguez admitted to using steroids and other performance-enhancing drugs for years. He claims that he bought the drugs at a pharmacy in the Dominican Republic. That's bad. Baseball may be one of the only sports where admitted dopers can still shine on the field, and Alex Rodriguez is a prime example of this, since he admitted to cheating in 2009, but didn't retire until seven years later. Also, he'd basically been cheating from the start. While his grand slam record might not entirely be due to the drugs (they didn't put three other runners on base each time, after all), he smashed through sports records during his doping years with the Texas Rangers. In 2002, he took the record for most home runs in consecutive seasons by a right-handed batter in the American League (baseball loves its super-precise stats). In 2003, he went on to become the youngest player to rack up 300 home runs. All thanks to drugs. At 5'4" and 110 pounds, Wang Junxia is a tiny, tiny lady. But that didn't stop her from stepping all over her opponents at the 1993 World Championships in Stuttgart, Germany. It was her second year of professional running, and nobody saw the 20-year-old coming. 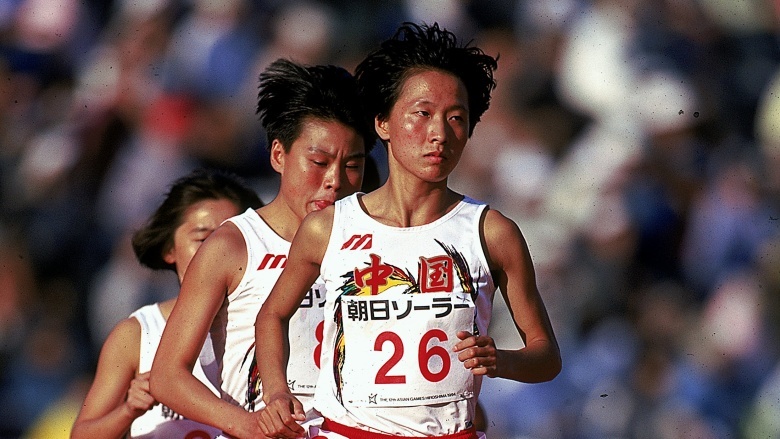 Within the space of months, Wang set sports records for the women's marathon, the 10K, and the 3K. Then, in September of that year, Wang didn't just break the world record for the women's 10,000-meter run — she smashed it to smithereens, being the previous record by a massive 42 seconds. This also made her the first woman to run 10,000 meters in under 30 minutes, a feat that wouldn't be matched until 2016. Junxia wasn't done. Three days later, both she and a teammate broke the world record for the 1,500-meter run — as in, she finished first, the teammate placed second, and they both beat the world record. The day after that, little Wang Junxia did it again, setting a new world record in the 3K, only to beat it again the next day. The running world was in a "HOW??" uproar. Well, in 2016 we learned how. Everyone who though Junxia was superhuman was dead wrong. Try super high. Wang Junxia came forward and admitted that she'd been part of a widespread, state-sponsored doping program. Along with her team, Wang was given "large doses of illegal drugs" to fuel their success in the early '90s. It's like how Russia tried to dope tons of its athletes prior to the 2016 Olympics, only they totally got away with it. Believe it or not, there's an Olympic sport called race walking (it's just like any other race, but you have to walk), and people take it pretty damn seriously. It sounds silly, but it can be pretty grueling — one of the races is 50 kilometers, compared to a marathon's 42 kilometers. 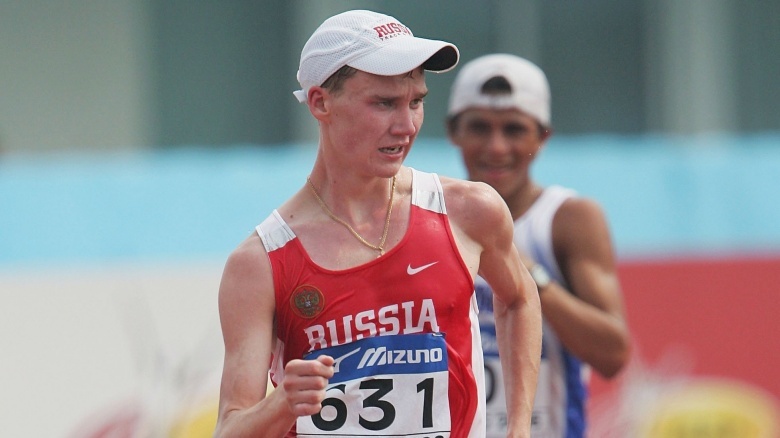 At only 20 years old, Sergey Morozov was already a world-champion race walker. He'd won two junior walking championships in 2005 and 2007, but hit his stride in a big way in 2008. That year, he set the world record for the 20-kilometer walk, with a time of 1:16:43. It takes most of us longer than that to get out of bed on a Saturday morning. Later that same year, a massive Russian doping scandal (yes,another one) broke amid an uncalled-for number of running puns. Morozov and four other world-class walkers were banned for two years, after it was confirmed that they'd all taken erythropoietin, or EPO, a hormone that boosts the production of red blood cells. In 2010, at the end of his ban, Sergey Morozov began competing again, but was never quite able to achieve his former level of success. In 2012, he was banned for life after failing another drug test. Clearly, he should've walked away when he was ahead.